We’re in our post-E3 funk, which means we’ve had time to play games again! 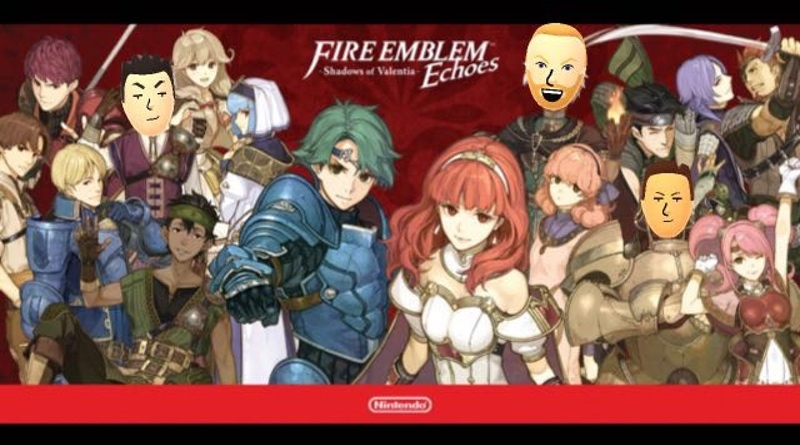 Sure, we might be a bit behind schedule, but you can listen to James and Craig chat about Fire Emblem Echoes: Shadows of Valentia. What’s that? James is playing a 3DS game? I know, right! Turns out he bought a New 3DS XL and a bunch of games. You’ll have to listen in to find out more. Ben has been busy beating Zelda: Breath of the Wild. Well, let’s say he’s seen the ending, but hasn’t completed the game. There’s still much to discover! We cover a bunch of news and then dive into our overall thoughts on E3 2017. We chat at length about some of the Treehouse Live segments and put E3 2017 to bed. Don’t forget to send us your questions and suggestions to be featured on a future show via an e-mail or by getting in touch with us via Twitter. As always, please rate us in iTunes, and subscribe to our YouTube Channel. Plus, you can listen to us on Google Play Music! 2:01:59 – Thanks For Listening!